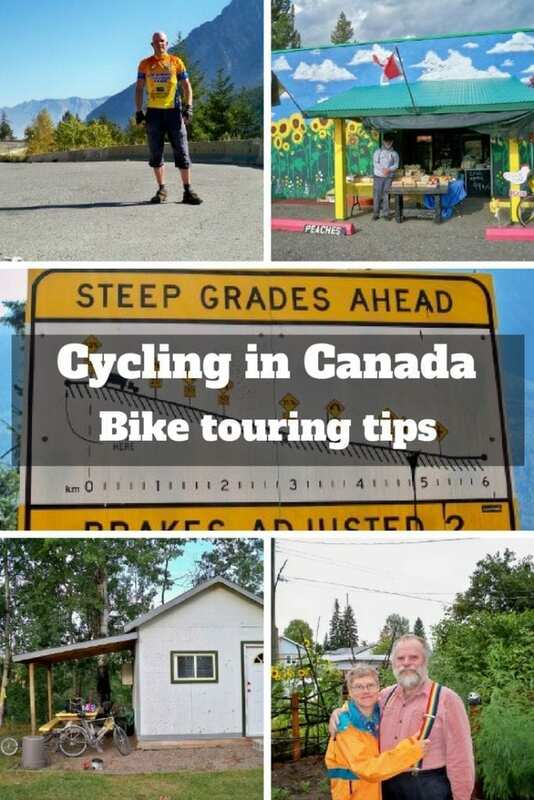 Useful tips and advice for cycling in Canada based on my experiences bike touring through the Canada on my way from Alaska to Argentina. 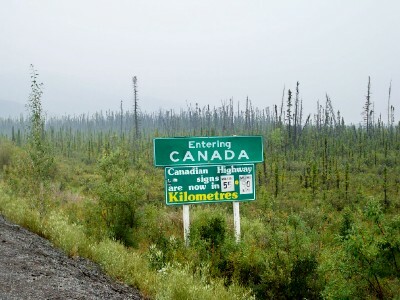 I last cycled through Canada back in 2009 as part of my bike tour from Alaska to Argentina. Canada is one of those countries that I had always wanted to visit, and is now one that I want to return to and see again. Wide open spaces, mountains, friendly people – You get the picture. It's an ideal destination for bike touring! It did have it's challenges as well of course, which you can read about by going through to my blog entries at the bottom of this page. My fondest memories are of working on a farm for a couple of days, seeing bears in the wild, and meeting up with other cyclists. The downside was the rain. If you think it rains a lot in England, try cycling through Canada! Obviously it goes without saying that Canada is a big country! I didn't get to cycle everywhere, and so my thoughts and observations come only from the section that I cycled. You can check out the route in the linked posts below. I've put together a few summaries that you might find useful if you are planning to go bike touring in Canada. The best time of year to cycle across Canada, would be the summer. Specific months that most people would agree are ideal for bike touring in Canada are June and September. Of course, you can cycle all year around in Canada. The winter would have its challenges though! 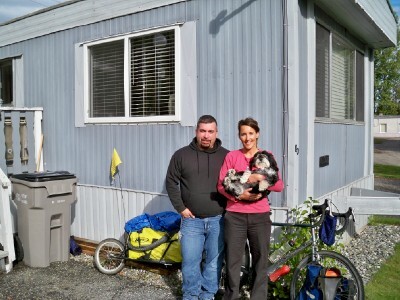 Canadians are known as friendly folk, so it's not much of a surprise that there are great opportunities for Warmshowers and couchsurfing when cycling across Canada. There's also plenty of campgrounds, whether in national parks, forest parks or official campsites. Canada is also ideal for wild camping, and obviously there are always hotels, motels and hostels around. There's not much issue with picking up food and drink for bike touring in Canada. In the more remote parts though, it might pay to plan ahead when cycling in more remote areas. Unless you go way, way off the beaten path, you should never be more than a couple of days away from somewhere to pick up supplies. You might want to consider taking a water filter so you can always top up from streams and rivers. Here's a water filter for travel I currently carry on my bike tours. Outside of main population areas, you might struggle to find bike shops. When you do get to bigger towns and cities though, you will have a first class pick of spares for your bike. I didn't find the traffic in Canada to be particularly problematic when cycling. There's a varied road network with some rough tracks. Where the sealed road network starts its generally of good quality. 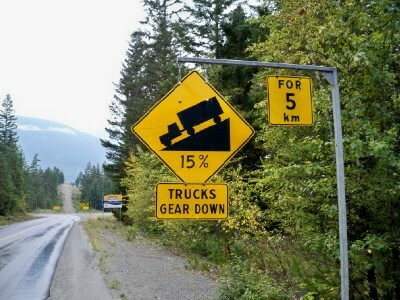 What I did notice though, was the Canadians seem to love a high percentage on their inclines going up and down mountains! No real dangers or annoyances to speak of apart from bears. Personally, I never had any major issues with bears on the routes I took. When camping at night, I kept food away from the tent, and also cooked away from the tent if I though I was in ‘bear country'. As you can tell from the sheer amount of travel pages below, I spent quite some time cycling through Canada. If planning a similar bicycle touring journey of your own, keep in mind that Canada is a BIG country!